How to protect a camera from a dust, a rain and snows? A few simple advices on how to protect your camera during certain weather conditions. Sometimes it might be necessary to shoot during rain or a snowfall or in dusty air. 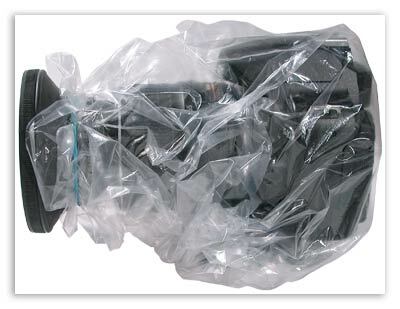 In such cases it is possible to protect your camera by using an ordinary polyethylene bag. This method has been checked when shooting in rainy weather and snowfall. These items will be necessary. Protect your camera against moisture. 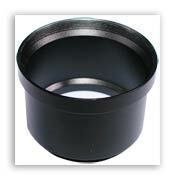 You might need an adaptor to install an optical filter and a blend lens. The bag is placed over camera from the display side. 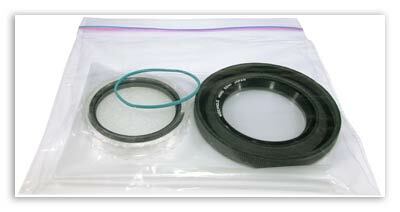 The edge of the bag should be fastened by the elastic band around the rim of a filter or a blend lens. 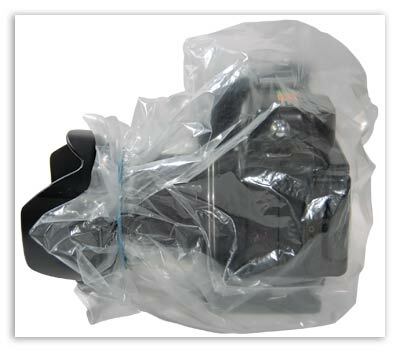 Protect your SLR camera against moisture. For protection of SLR Camera it is necessary to make a small preliminary opening of an appropriate diameter in the bottom of the bag. A thin-wall tube, a cap pen or a broken telescopic aerial from the radio receiver or TV can be used as a hole puncher. 1. Align the opening in the bag with your camera’s eyepiece. 2. Stretch the opening of the bag and place it on the eyepiece of the camera so that the edge of the opening tightens around the grove of an eye piece where eye shade is placed. 3-4. Place an eye piece over the eye shade. If you will always have this little bag of goodies at your disposal, you will be able to protect your camera in any weather conditions. One of the method’s deficiencies is incapability of using a built in flash and an auxiliary illumination of the auto focus. 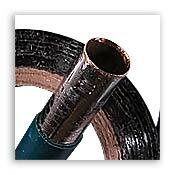 Besides that the method requires the usage of certain materials. One bag is sufficient for one shoot only. It’s a wonderful and useful method. Thank you for sharing.